Suntech is a leading global solar solutions provider and solar panel manufacturer whose goal is to provide power to 30 million people worldwide by 2020. Suntech has one of the largest research and development teams and is one of only a handful of manufacturers to be VDE certified. Suntech is very passionate about building and protecting a reputation as a leader in solar technology whose bigger purpose is to make the world a better place for all. 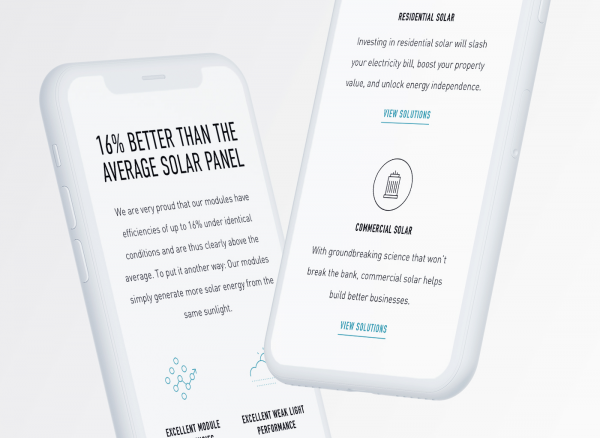 To expand the business into Australia and tell the brand story in a way that Australians could relate to, Suntech engaged us to complete user interviews and deliver an Australian web property that would sit separate of its global website. 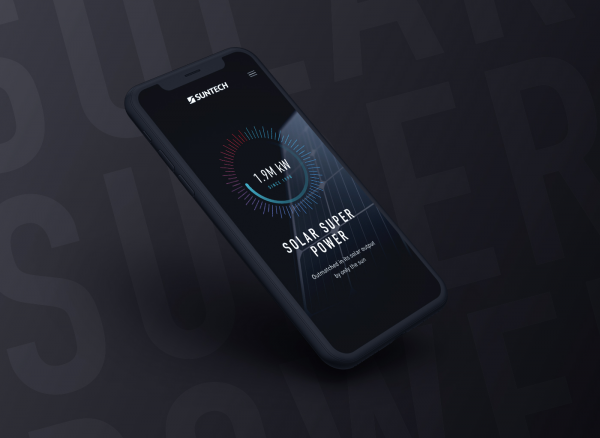 The resulting website gives prospective customers plenty of reasons to choose Suntech over its competitors and demonstrates the brand’s financial benefits, technical sophistication, and commitment to innovation using an approachable tone of voice and clean design. We collaborated with a 3D rendering specialist to create an animated hero and product renders that make Suntech’s products stand out as a beautiful and modern option for consumers. 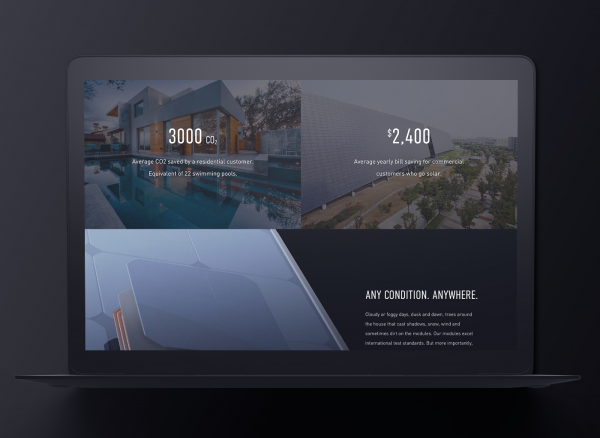 Considerable research helped us design a journey and search experience that made it easy for users to locate a nearby solar installer and search products and company credentials. 1. Build Suntech’s profile and reputation in Australia by generating brand awareness and equity, positioning the company as an industry leader. 2. Generate qualified leads for Suntech distributors (whose customers are solar installers) and installers themselves (whose customers are end consumers). 3. 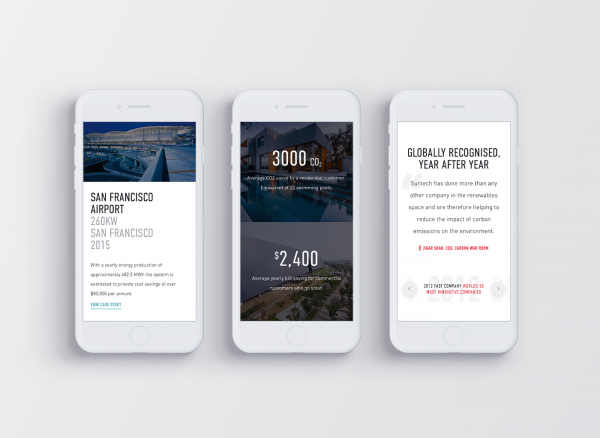 Create an improved sales support experience, where messaging aligns with in-person sales experience to increase the chances of a successful conversion. 4. Provide a platform to leverage other marketing activities (e.g., events, training, partnerships, etc.). 5. 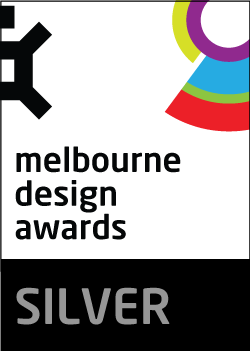 Produce an engaging, educational user experience. 6. Provide Suntech staff with robust analytics to inform future marketing decisions. Given how competitive the solar industry is in Australia, Suntech felt that entering the marketplace branded as “just another big global manufacturer” would dampen their chances of gaining consumer trust and generating sales. 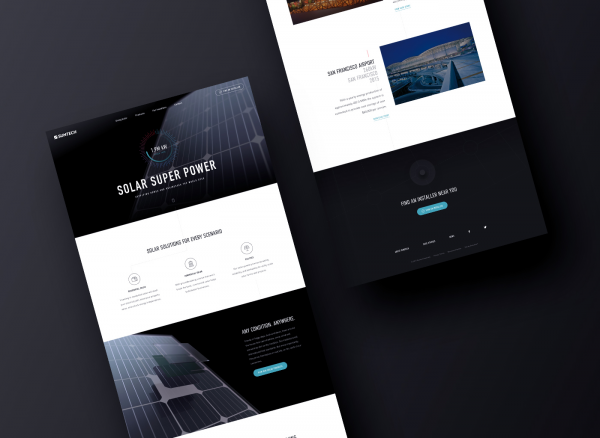 Rather, the team wanted to develop a website specifically for the Australian market and tell their brand story in a way that fostered trust and connection to, ultimately, inspire Australian home and business owners to choose Suntech for their residential and commercial solar solutions. Our primary target audiences were twofold: homeowners and companies looking to install solar panels and/or batteries, and solar installers and solar sales representatives. 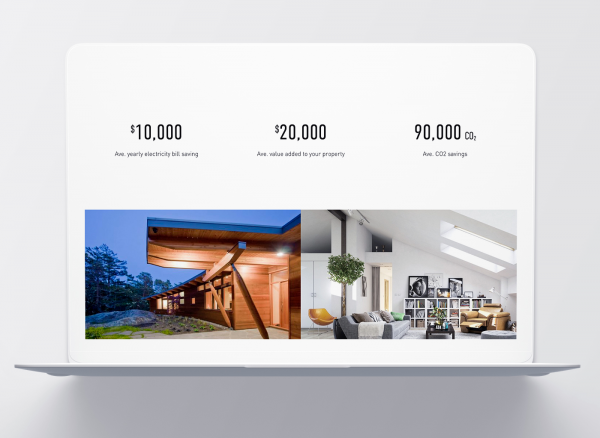 With homeowners we learned that while men often make the actual purchase, women have tremendous influence on a purchasing decision, highlighting the need for the website to cater to both sexes. For the latter, because solar is a difficult and competitive industry (there are thousands of small installation fitouts around Australia), a key point of differentiation and popular, efficient product are key. 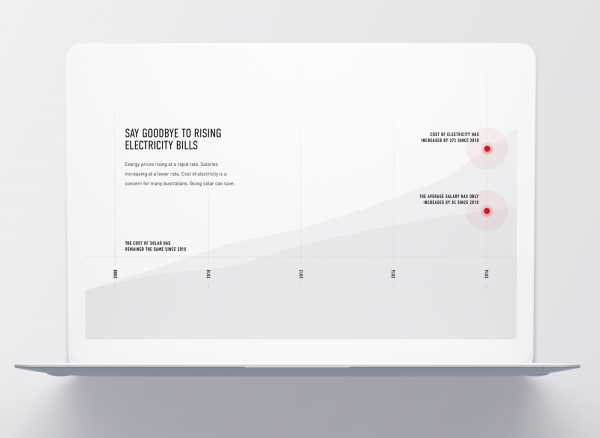 Our UX research focused on pinpointing where the website fit in the customer journey and what information was most persuasive or distracting when choosing a solar panel brand. We learned that the main reason people and businesses invest in solar is not for its environmental friendliness, but to unlock cost-savings benefits. Therefore, we prioritised information related to cost-savings and featured this throughout the site. We also learned that when users feel they can trust the individuals responsible for installing their solar panels, they are more likely to go with that installers’ preferred manufacturer. 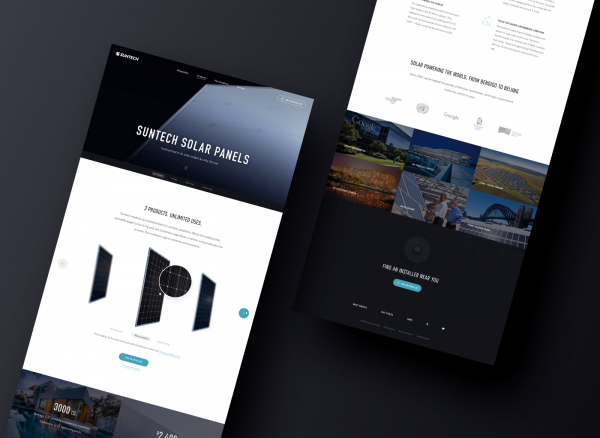 To account for installers whose own websites were outdated or otherwise lacking, we incorporated ‘Installer’ pages to Suntech’s new website to showcase the business and, in so doing, build trust. A prominently featured “Find an Installer” CTA and allows users to easily review and evaluate nearby installers. As Suntech has internal marketing capacity, our team was not engaged for any post-launch marketing initiatives.